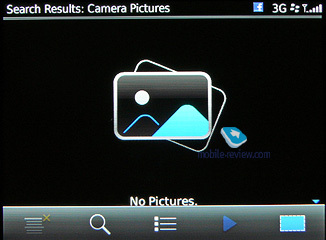 This is a review of BlackBerry Torch 9800 released for AT&T Wireless. 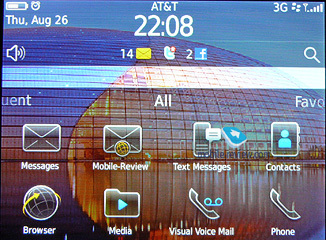 As this is an AT&T phone, large portions of the phone menu and software were redesigned to fit the demands of this carrier and its services. 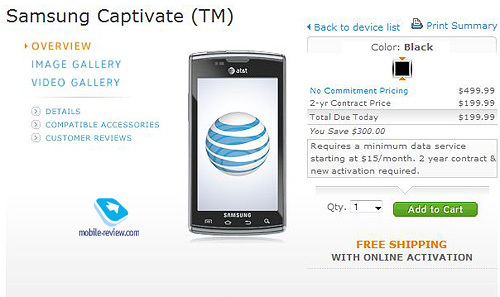 We are reviewing the phone itself, not AT&T services or their implementation on this phone. 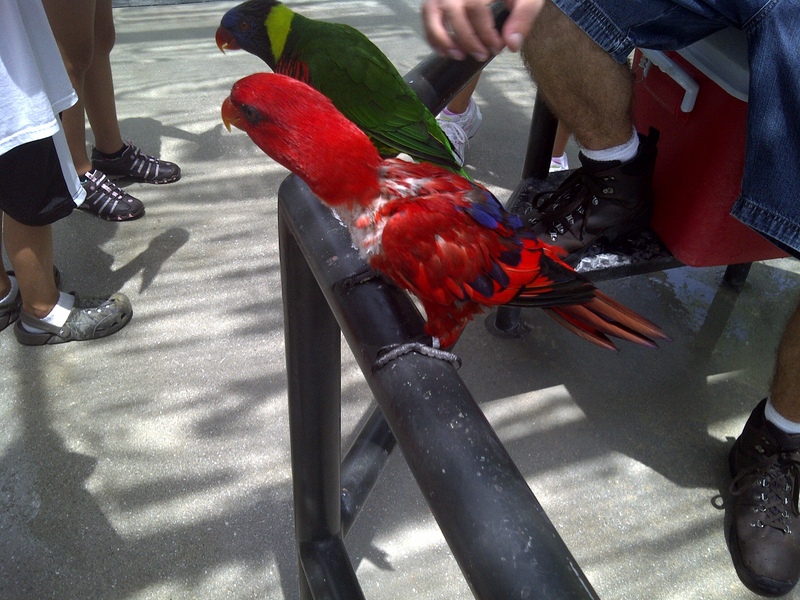 These services vary from carrier to carrier, are not phone specific and therefore will not be reviewed, we will only notate their presence or absence. 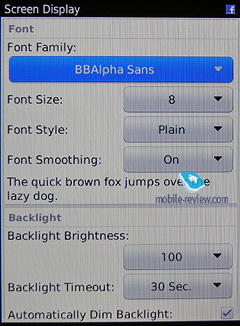 BB Torch is the first RIM smartphone running the newest, 6th version of the proprietary BB OS. Many things changed in it, making it more on par with the competing OS, from Google and Apple in particular, but many things stayed the same, just the way BlackBerry users are used to. 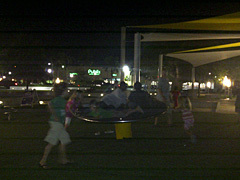 The question is whether these changes are enough to keep and add to the existing customer base. 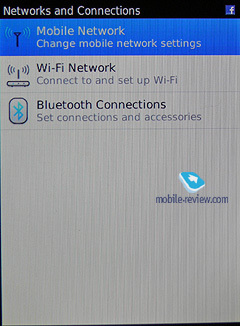 The phone was released on AT&T Wireless network and thus immediately run into some fierce competition from iPhone 4 and Samsung Captivate (Galaxy S), not even taking into consideration other Android based handsets and older RIM devices offered by the carrier. 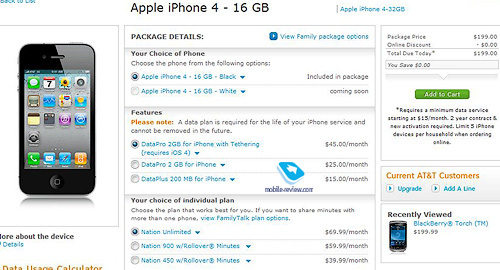 Importantly, many of the competitors, including the iPhone and Captivate, are priced at the same level - $199 with a two year contract, making a much dimmer Torch a difficult choice for anybody who is not looking specifically for BlackBerry. 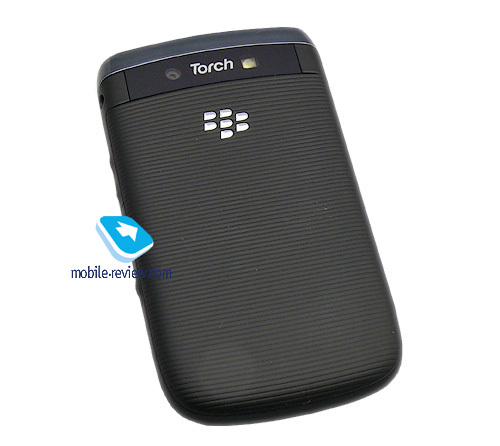 BB Torch comes in a black carton box and on the screen of the pictured phone we can see young, sporty people, who, if I understand correctly, should represent the Torch customers as they are seen by RIM marketing folks. A good looking girl is riding a wakeboard (talking on a Torch at the same time? ), another, casually dressed, sits on the shoulders of a similarly casually good looking (it's an assumption ;)) young man against some European looking building on the background. 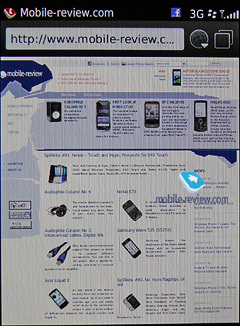 If this is the market positioning envisioned for the Torch (young, mobile people with disposable income), it pegs the handset squirrely against the Android and iPhone – the positioning, where RIM may have a little chance to win even with BB OS6. 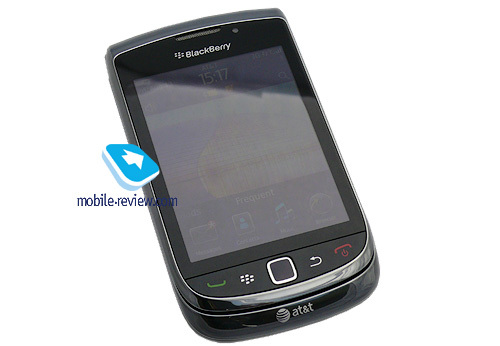 The initial reports from the field are proving it – news are not good for RIM as the sales of the devices over the first few days are estimated to reach only 150,000 units – to compare, BlackBerry 9700 Tour, released on Verizon last year, sold 275,000 phones in the first day. This obviously does not mean the phone will be a failure – the customer base for BlackBerry is corporate, where the phones are purchased at a specified time period and many at once, so over time the sales should be good. 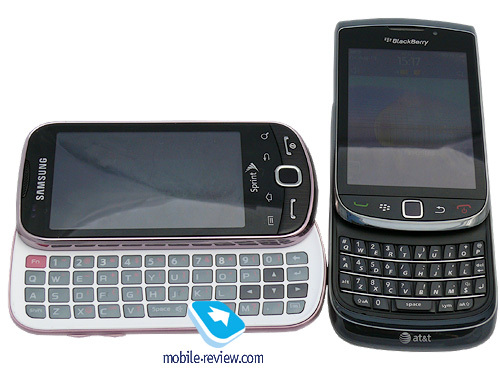 Nonetheless it is already clear that there was no penetration of a consumer market as RIM had hoped. As mentioned above, the phone comes in a black carton box. Inside are the phone, the stereo headset with cheapo buds without any foam covers, a home charger, a polishing cloth, a battery, a 4GB microSD, paperwork and a CD with drivers (refused to install on my Vista PC), etc. for the PC connection. The phone looks and feels business in Black on Black chrome color scheme. The plastic of the screen and the lacquer black bezel around it like the grease off the fingers and try to keep it as long as possible, probably as a souvenir. Around the bezel there is another bezel made of dark chrome metal, looking and feeling very rich. 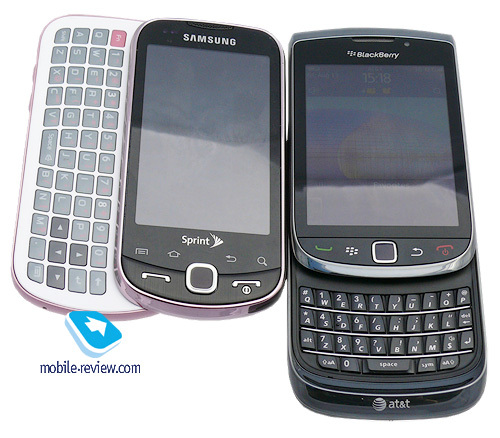 A similar metal encircles the lower part of the body and is overflowing over the top and the bottom of the phone. Just under the metal RIM used regular black plastic, but it is used in places and in a manner where its simplicity is not noticeable. Finally, the battery cover in the back is made from a richly feeling rubberized plastic, allowing for great traction and giving a little unusual and rich tactile sense. Chrome BB logo and Torch sign add tasty accents to the back side. 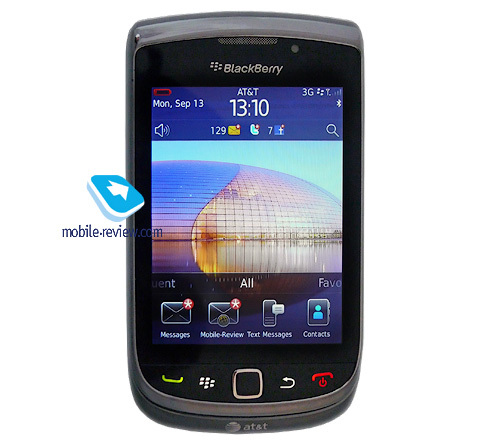 Overall the design is clearly BlackBerry, made for business and business people, with an expensive feel to it. The phone feels solid, well made. 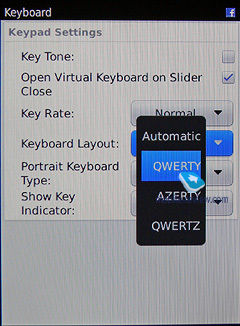 There is a little play between the halves when the keyboard is open, but it is unavoidable in any slider. In three weeks I spent with it I could not see any particular places attracting dust, but depending where and how you carry it, sooner or later there will be dust somewhere. The front houses the speaker, the LED status light flashing different colors to communicate that something is happening, i.e. 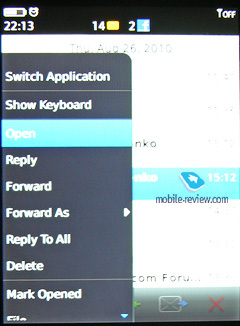 there is an email in the Inbox, or lit solid when the phone is charged; a BlackBerry" logo and the main controls – Pick Up, Menu, Return and Hang Up/Power buttons and an optical touchpad with press function, which I found useful to scroll though the lists. The back houses a 5 MP camera with autofocus and flash. On the left there is only a USB port used for both data transfer and charging. 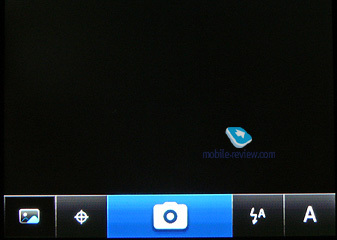 On the right side there is a 3.5 mm headphones jack, a dedicated camera button (by default. 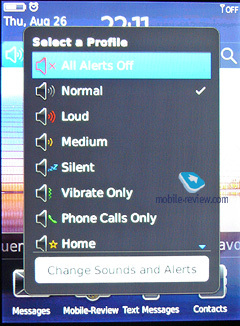 Other functions can be assigned to it) and a volume control rocker. 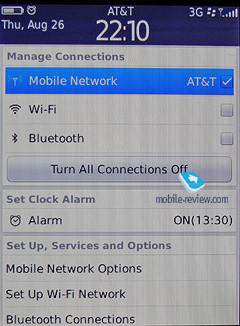 On the bottom – nothing but AT&T logo. 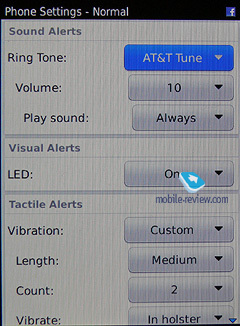 On the top – a screen lock and a very convenient instant ring mute button. 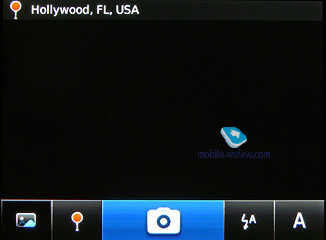 As you can see, these are pretty much standard controls for all BlackBerry phones. 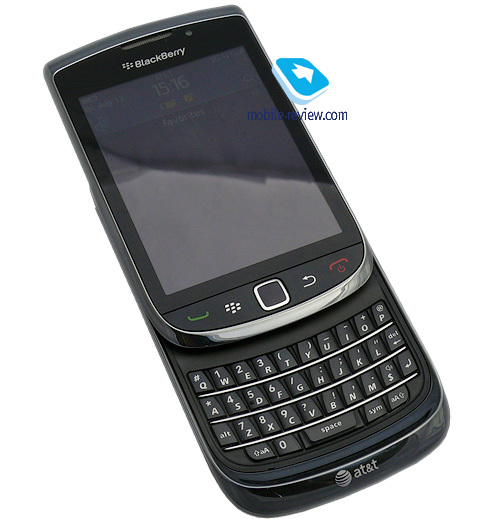 But this phone is the first BB slider, so in addition to the fully functional touchscreen it has a standard BlackBerry QWERTY keyboard sliding out when needed. 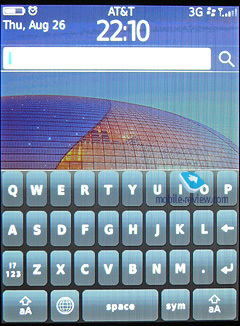 It is a comfortable keyboard that is easy to get used to providing a sensible alternative to the screen keyboard. A total of 35 buttons hold all the letters, numbers and many functions you may need in 4 rows of keys. The keyboard is also very nicely and evenly lit with a white backlight. The keyboard slides open and closed with an expensive feel. Due to the form factor and a combination of a touchscreen and QWERTY in a vertical slider, the phone is a bit squarish with a slider closed at 4.37 x 2.44 x 0.57 inches (111 x 62 x 14.6 mm). It is rather heavy at 5.69 oz (161 g), this weigh adding to the feeling of quality and sturdiness. At the same time it is not prohibitively huge and if you consider that it can replace a notebook on a short trip or somewhere at the airport, it is just fine. 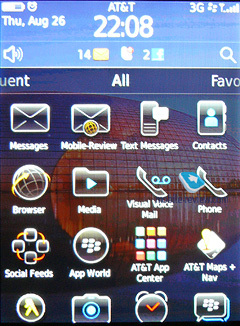 Strangely enough, smack in the middle of the phone is a 3.2" TFT 360 x 480 LCD, the first capacitive display in a BlackBerry and it supports multitouch in usual applications. The screen sits under a layer of tinted film, making the colors not as bright as in AMOLED or Retina, but overall the screen is very good. This is where the Torch carries its torch particularly proudly – the screen behaves brilliantly under the sun, even direct sun. 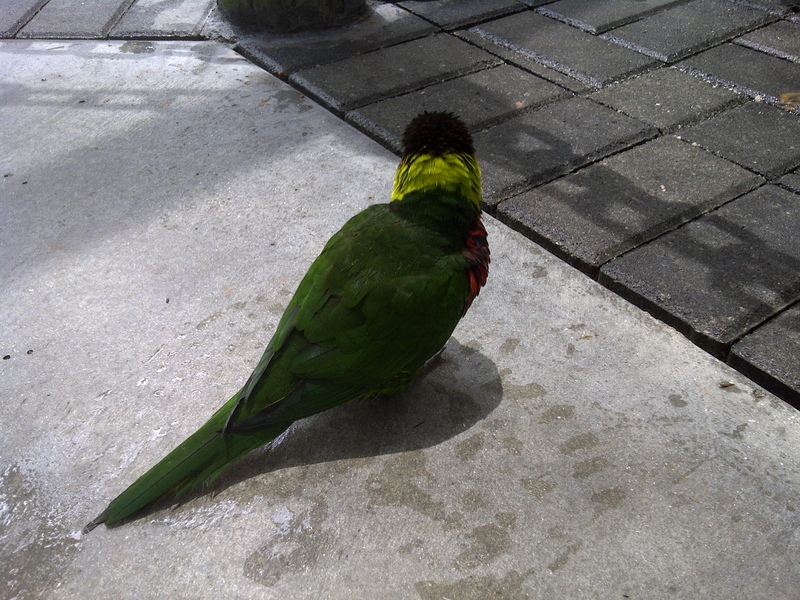 Not only everything is visible – it is easily visible, you do not need to look for an angle, to search for a shadow, to cover it with your hand – under the bright Florida sun in the middle of a summer day it stayed perfectly legible without any compromises. Frankly, can't even recall another contemporary smartphone with a touchscreen that would be this good outside. If your job requires you to stay outside under the sun for a considerable amount of time – this is the phone for you, no Android or Apple device comes even close. 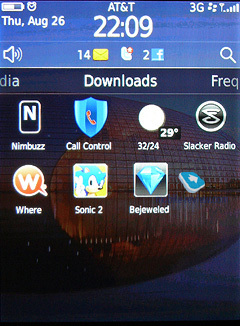 RIM, a business oriented smartphone manufacturer it is, had to do well in this department and they did. The 1,300 mAh Li-Ion battery on paper gives up to 5.5 hours talk and up to 18 days of standby, on an average business day the phone lasted me between 16 and 24 hours or almost 2 full days considering I shut it off for the night. If you are a heavy user be prepared to charge it every night, but it will get you through the day unlike the main competitors. The phone has microUSB connector for a charger, so you will find a cable to charge it in almost any place you go and use any computer as a power source. The time of charging to the full is pretty standard 2-3 hours from empty. 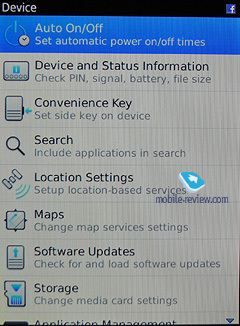 Of course, the use of power hungry applications - Wi-Fi, GPS, video shortens the battery life drastically. Now some bad news. After approximately 2 weeks of heavy use the battery stopped holding charge. 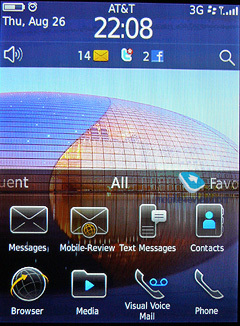 The phone would sit all night on a charger, show full battery on the status bar and go down to 10-15% within the hour. In a car it had to constantly be on the charger and did not charge. 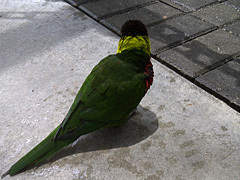 I do not know if it was a defective phone, a defective battery, a combination of both, but it was not good. 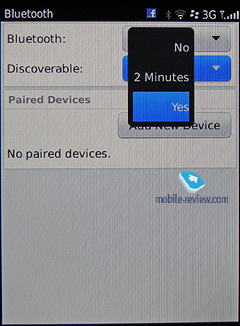 This again showed why for a reviewer sometimes it is more important to test the device thoroughly for a longer time rather than rush the review just to be the first. 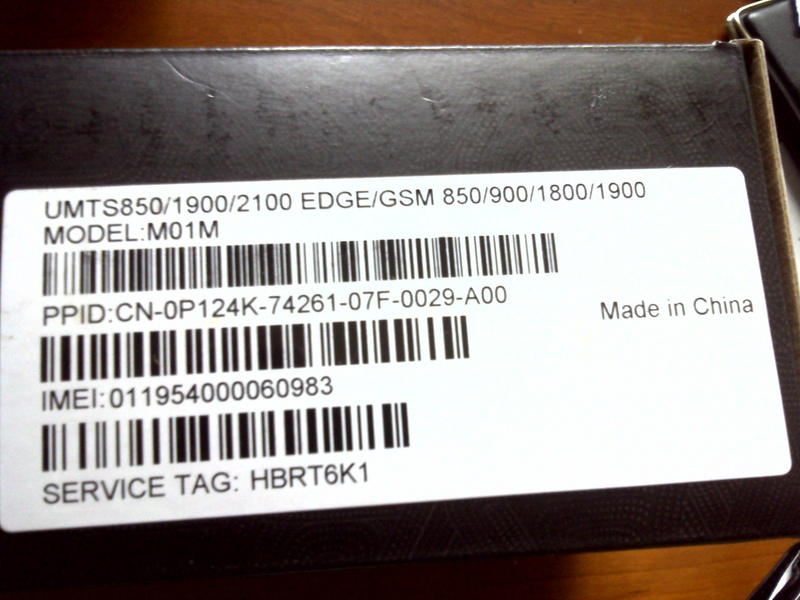 BlackBerry Torch 9800 is based on Marvell PXA9xx 624 MHz CPU. The processor is rather weak comparing to the higher end competitors and 512MB of RAM can't help it not to affect the speed of the device – the phone is very fast initially, flying between the apps, screens and tasks. In my 3 weeks with it however, as more and more emails, text messages, apps, pictures, videos, music, etc. 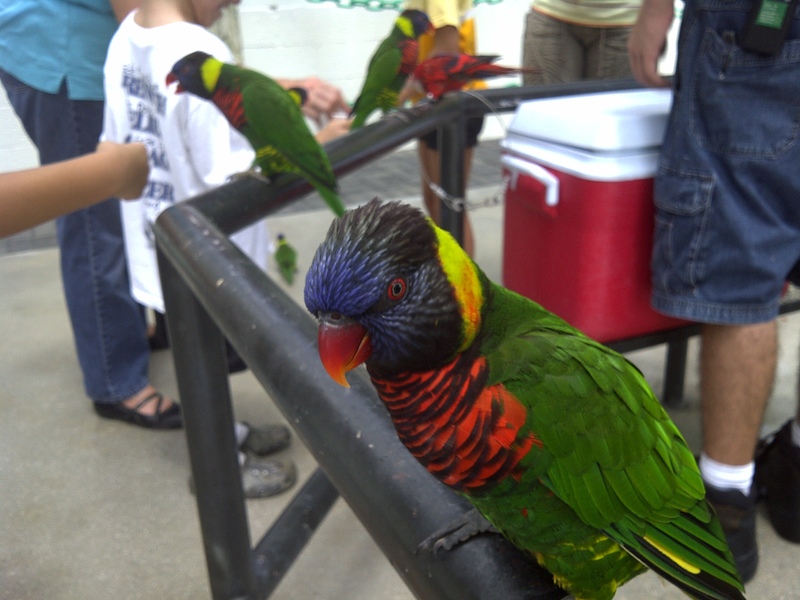 were added on, it was becoming slower and slower, finally getting to the point of frustration, when a command to go from the emails back to the desktop could have been executed at least a minute later, after numerous pressing of the Back key to no effect. There is a probability the slowdown is due to a cumulative delay of a small software bug(s) that piled up with time – is this is the case, there is a hope a software update will eventually fix it. 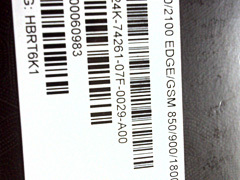 There are 512MB of ROM in the phone in addition to a microSD card slot. 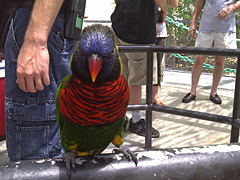 The 16GB Lexar card used with the phone worked without any problems. The card slot is hidden under the rear cover and the cards are hot swappable. 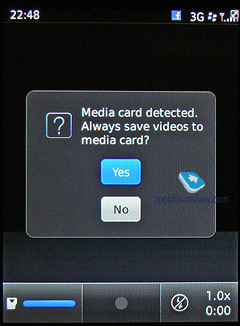 USB upon connection allows selecting from three modes: Charge only, Sync Media and USB Drive. 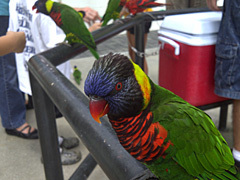 I was able to transfer images and music files, but could not send the Calendar entries. 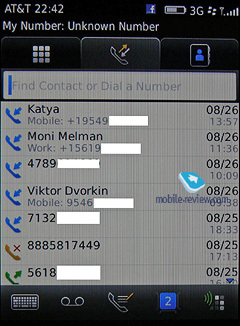 Selected contacts transferred over Bluetooth from Nokia 5530 within a few seconds with Picture IDs, but each contact transfers as a separate file and requires a manual confirmation to be saved. When you have hundreds of contacts confirming each one is not fun at all. Once a contact transferred it is getting into a Documents folder. You can choose a different folder to place it into, but there is no way for them to automatically add to the Contacts. Then the fun starts: there is no separate File Manager shortcut in the phone, so once the contacts (or other data) are received you need to find it, but to do that you need to find the file manager. Right this down kids: it is located inside the Applications folder in ALL. 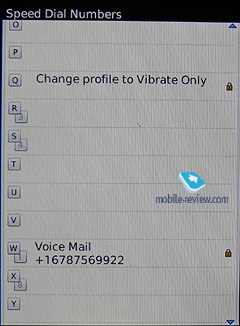 So you go to All desktop, to Applications, to Files to File Folders to Media Card to BlackBerry to documents and this is where your contacts are. Just tap on each of them, press on Add to Contacts, wait until confirmation appears (or not) and vuala! Only 10 times you need to press something to get a contact into your phonebook over the Bluetooth from the moment it was sent from another phone. To save yourself some of this trouble you may mark the Files folder as Favorite and it will appear on the Favorites desktop. From there on proceed as described. 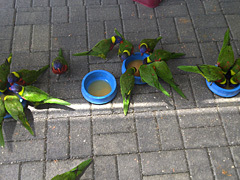 The phone was tested with the following Bluetooth devices: Jabra BT8040, Parrot MKi9200, Nokia 5530, Sennheiser MM450. 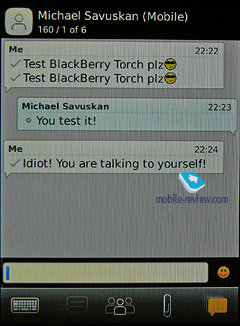 As mentioned above, the Torch is the first BlackBerry device running BB OS6. Let me try to describe the new OS a little – RIM created an interesting interpretation of the interface once popularized by iPhone and currently used by almost every touch screen device manufacturer. Developers tried to provide users with choices – on one hand, you may have the same desktops as in competing devices, on the other side you may not have any if you wish and anything in between. Allow me to elaborate: you have a total of 5 desktops you can place your apps onto. The difference is the desktops are pre-named: All (obviously, this is where all the apps and functions are), Media, Favorites, Downloads and Frequent. 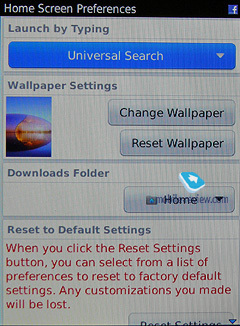 While the Frequent shows the twelve functions you use the most and Downloads desktop is dedicated to the apps you downloaded from the BlackBerry or AT&T servers, no one can prevent you from adding anything you want to the "Media" or "Favorites" desktops, so if you wish you can follow the default settings or become a rebel and just use these desktops as you would on Android or iOS4 devices. 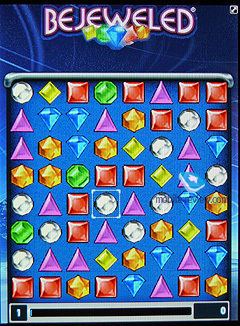 Each of these desktops is endless (moves up and down) and you can place as many icons on them as you want. 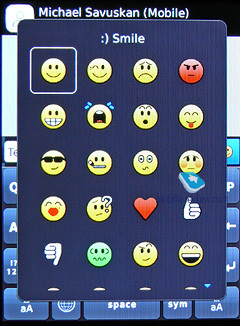 A maximum of 16 icons are visible on the screen at the same time, but some people prefer to see a picture of their kids instead and without a Facebook shortcut pasted in the middle of little Johnny's forehead. 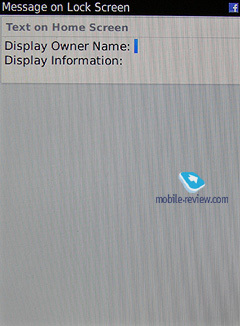 To address this RIM allows you to choose how much of a desktop you can see at one time – 16, 8, 4 icons or none at all. I find this a very good idea and have to compliment RIM's designers for their talent – it is not easy to come up with something both original and contemporary these days. Another neat feature is the possibility of hiding the icons of the apps you may for example not need, but due to the carrier restrictions not be able to delete. 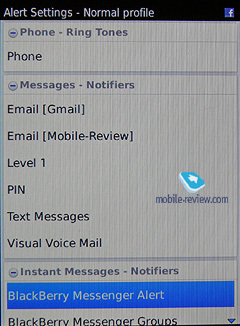 On top of the screen you can see a Status Bar, showing you the number of unopened emails, messages, social network updates. 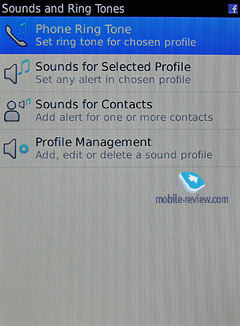 To the right is the Search access, to the left a shortcut to Profiles: you have Normal, Loud, Medium, Silent, Vibrate Only, Phone Calls Only to choose from and can create your own ones. There is no way to set profiles to timed activation/deactivation, it has to be done manually. Once you pressed on the Status Bar you open a hub with all of the events summarized on it. 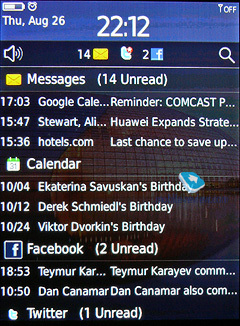 You see the new emails, text messages, Calendar events, social networks updates, missed calls notifications. Finally, on the very top is the Manage Communications shortcut, enabling one touch access to Wi-Fi, Bluetooth and cellular network On/Off and features. 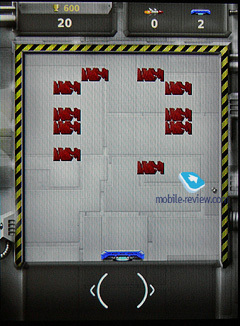 Visual Voicemail – obvious. Did not work on my phone. The bad part about pre-installed apps is there is no way to delete them. For example, I do not play on the market and Stocks is the last app I need, but it will have to take up space in the phone no matter what. At least you are able to hide the unnecessary apps, mail boxes, etc. 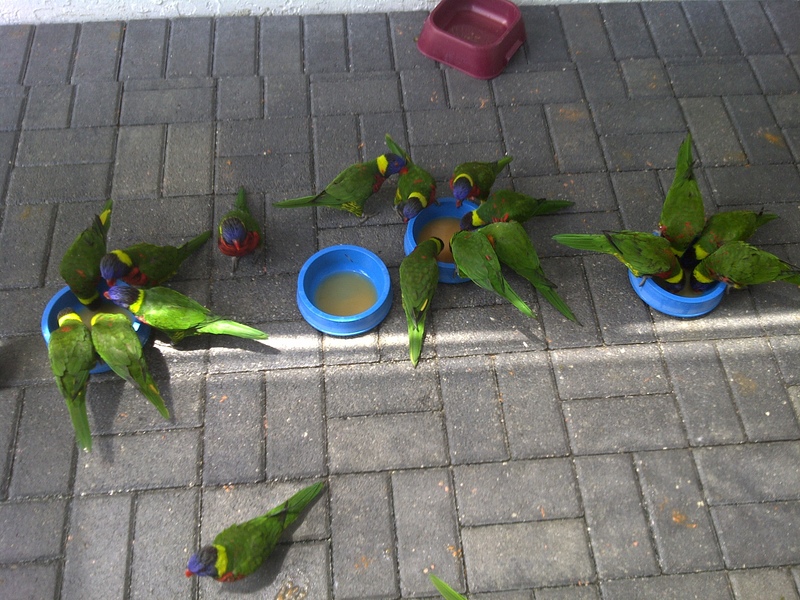 as mentioned above. 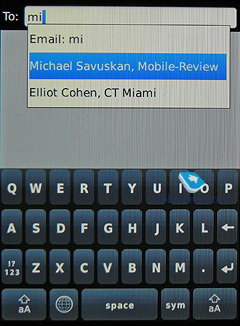 There is no way to install Skype on a non-Verizon BlackBerry, but Nimbuzz has a BB platform support and it works on OS6. The Torch comes with a few preinstalled business apps: Word To Go, Sheet to Go, Slideshow To Go as well as a Password Keeper. PDF files open. 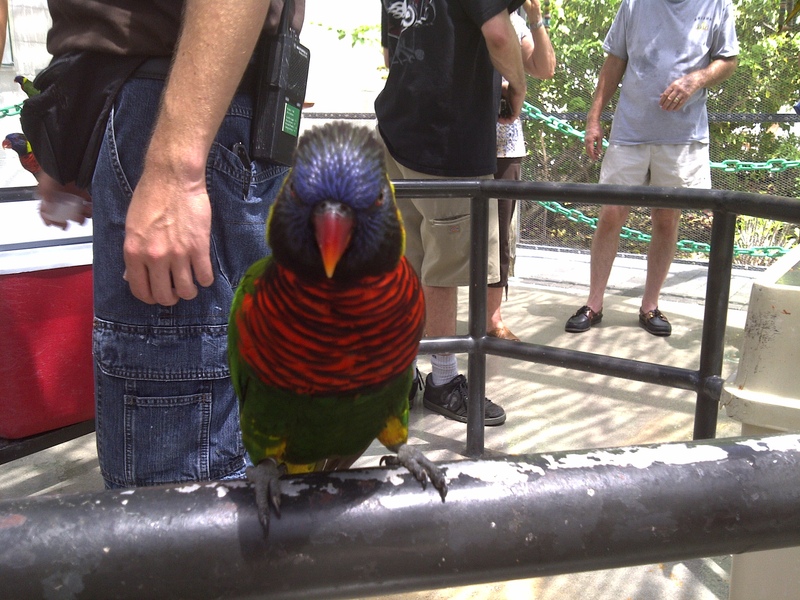 The phone features a 5MP camera. The good news are a few – it has a flash, continuous autofocus, image stabilization and a dedicated shutter button (you can assign another function to it), otherwise it is a standard phone camera as you can see from the sample pictures. 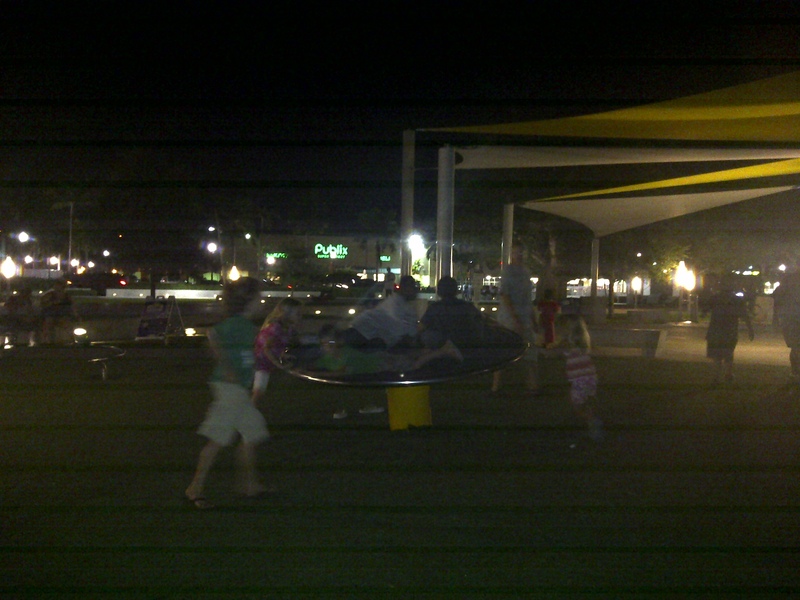 In the Night Mode the pictures are horrible, but with a proper lighting the phone can replace a point and shoot camera. 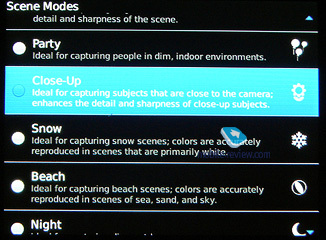 The specs and features of the camera are pretty standard. 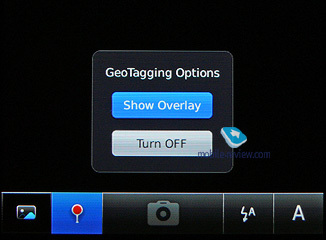 In a standby mode you see the flash settings, geotagging, gallery and camera modes icons on the bottom of the screen. 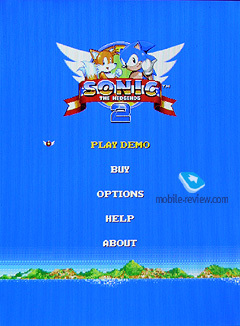 If you press the Menu button, you'll have a chance to pull out some additional settings choices, but overall the options are pretty poor in comparison with competition. On the other hand, how many people really change the Balance of White in their phone camera? Not too many probably. Those who know what it is and why it is there would likely use something a little better than a phone to make a quality picture, so in my opinion the simplified choice of settings is not a problem and could be actually a positive. 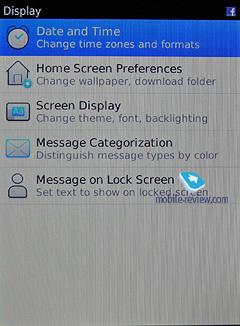 The samples show pictures in Auto, Night and Text modes. 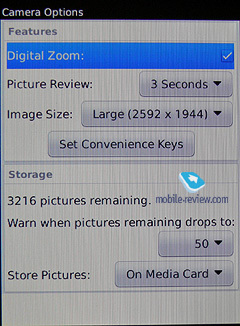 Other settings you could change include Picture Review time, change when the phone will start warning you that you are running out of space and choose where you store the pictures – device or SD card. Also you can turn On and Off video light and image stabilization (the sample video was shut with it Off, so you may want to keep it On. 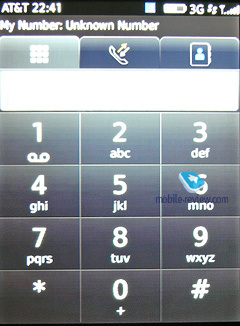 Press the Green phone button and you are getting to the screen with 3 tabs: alphanumeric keypad with large easy to press buttons, Call list, containing all the calls ever made, received or missed in one long sheet (only the latest call to/from each number/contact is listed) and Contacts. The numbers on the screen are large and easily visible. 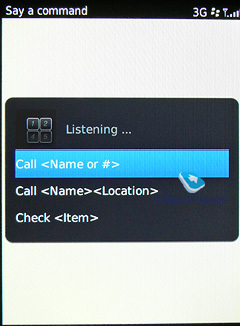 Caller ID shows only the number for a caller not in the contact list, but for an existing contact it shows the name, type of a phone (i.e. 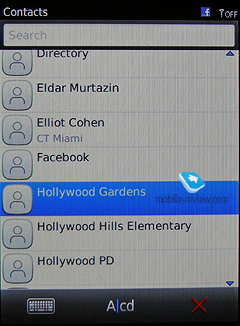 Mobile) and the organization the contact is working in, providing a convenient tool for someone with a huge number of contacts. There is no way to block callers or to create a Black List without external applications and the Call Control app found in BB Store did not work. 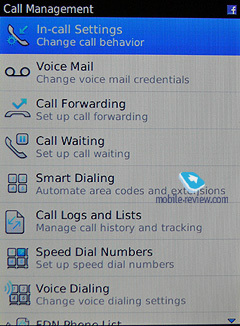 When the Call List or Contacts are entered through the phone function, an additional feature access line opens on the bottom of the screen. 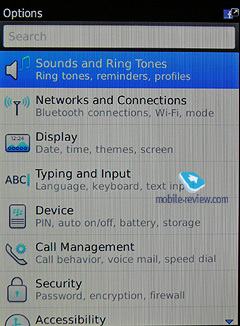 It has shortcuts to on-screen keyboard, Voice Mail, Notes (you can take notes right on the phone whilst in call), Speed Dial (either a number or a letter can be assigned, limiting the number of speed dial options by 27) and Voice Recognition. Voice recognition, powered by Nuance Communications technology, is easy to and works with a very high rate of voice recognition (no mistakes in my limited use), but is not as simple is needed to get to. 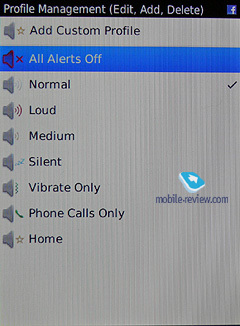 You need to press the Green button to get to the Call List or the Contacts, then press the Voice Recognition icon. It's somewhat annoying inevitable confirmations of what you've just said can be turned off. The phone supports the Flight Mode. 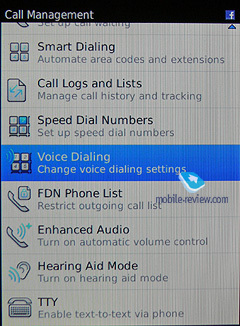 Speakerphone is good and, thanks to the dedicated button on the screen during a call (along with Mute, Hold and Add a Participant for a conference calling), easy to use. This is a smartphone, so the limitations to contacts are nonexistent or at least I can't think of any. 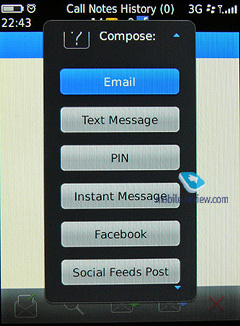 You can have unlimited phone numbers and emails, BlackBerry PIN Messenger, Home and Work addresses, birthday, anniversary, nickname, webpage, up to 4 custom fields, etc. assigned to each contact. 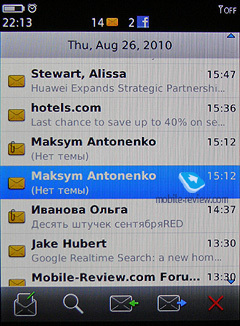 Even more interesting, on the bottom of each contact you are able to see the latest activity associated with it – emails and phone calls. 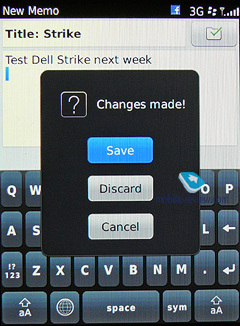 You can create Contact Groups, edit and delete them. 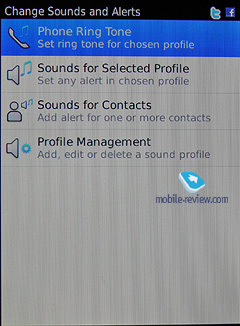 You can send group members messages at once, but this is basically all you can do, even assigning a distinct ringtone is not a possibility. Call list, containing all the calls ever made, received or missed in one long sheet (only the latest call to each number/contact is listed) is present. 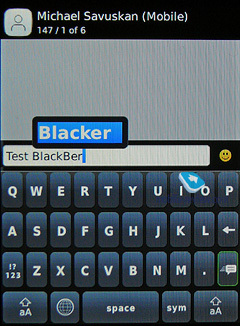 BlackBerry started and grew its loyal user base as the ultimate messaging device, so clearly this had to stay one of its strongest suites in BB OS6 and it does. The problem is that competition has caught up and today BB does not stand out the way it used to. 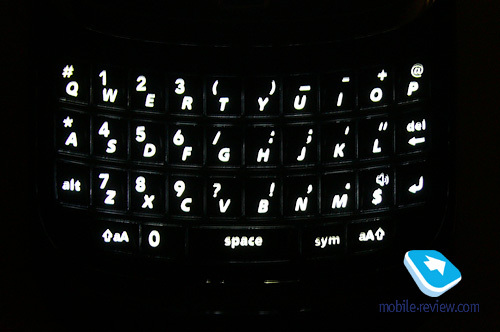 The physical QWERTY keyboard that was always considered one of the best in business is there, the touchscreen allowed to add a virtual keyboard rotating to the left and to the right to get into full QWERTY mode. 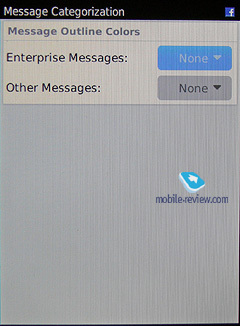 For emails the phone features a pretty standard affair with a possibility of setting up Gmail, POP, IMAP accounts for emails. The emails are pushed to Inbox in real time, so you can stay in touch easily. 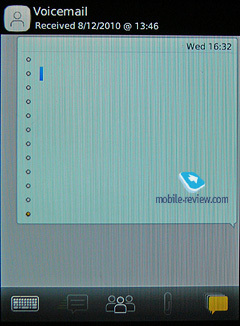 Text messages are shown in a list separating Sent and Received messages. 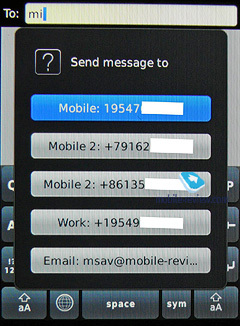 The messages from/to the same contact are shown as a chat, making following the conversation easy. 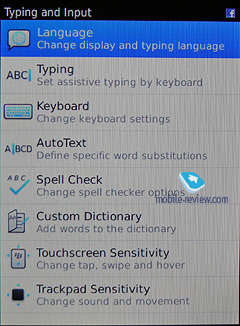 Predictive text could be changed to Corrective, providing you the tips only when the phone thinks you are making a mistake. 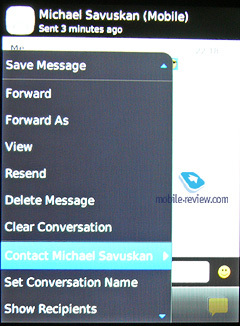 You can send text, picture and video messages, the latter two also directly from the camera interface, via email, SMS/MMS or directly to your set up social networks accounts. A very good Calendar as expected from a business oriented smartphone. In addition to all the standard bells and whistles you can add notes, schedule conference calls with access numbers, mark the day/time on the calendar as Out of the Office, Busy, Tentative, Free. You also have a few calendars to choose from – in my case I could have chosen to view my Gmail, Mobile-Review or Facebook calendars. Besides the standard Day, Week, Month calendar view, the Torch also allows to view the calendar entries in a list, option I find very convenient. On the negative side, the only way to access the Calendar is via the Notifications hub, there is no desktop shortcut directly to it. 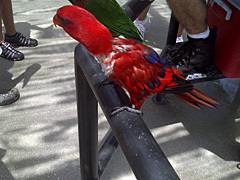 The BlackBerry browser is fast and no problems were encountered while using it. 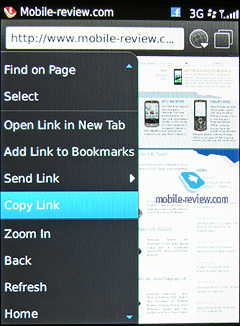 Flash is not supported, but the multitouch is, so you can easily adjust the size of the page to a comfortable to use size. 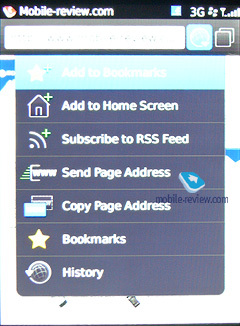 You can copy the page address or send it via text, BB PIN or social feeds. A pretty standard contemporary phone player with Album Art support and lack of support for non-Latin tags. The sound is OK, I did not experience any lags or issues with playback either in a wired or wireless form. In the Options you may not only change the EQ settings, choosing between 14 various presets, but also choose where you would like closed captions to be and look like. Clock, World Time. 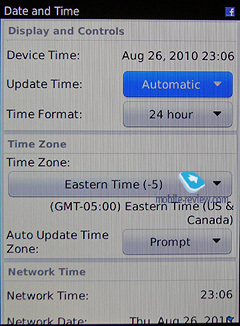 There is no World Clock function, which is strange for a business oriented smartphone. 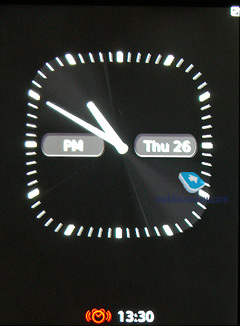 The phone may display a large great looking clock when put into Clock mode or on a charger. Alarm. The Alarm is bad. While it is perfectly capable of working even when the phone itself it shut off (Hello Android! ), the flexibility is executed very poorly – you only have a choice of setting the alarm for a single time or for all business days. 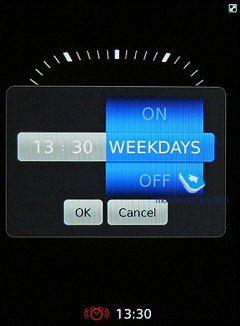 If you need one to go off every Sunday – you are out of luck and you'll have to set it up manually every Saturday. If you need one that works on Thursday and Friday only – sorry, get yourself something else for it. A shame. Memos, Tasks. To access MemoPad or Tasks you again have to go to the Applications folder. 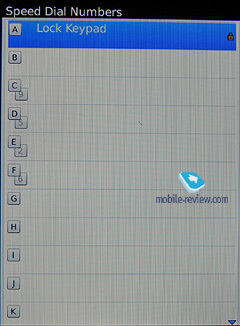 MemoPad gives you just that – a plain blank note field. The Tasks feature is more interesting – you can assign a name and set a status, priority, date due, time zone and a reminder for it. The tasks are integrated into the calendar and you can see them in the same grid. A-GPS. 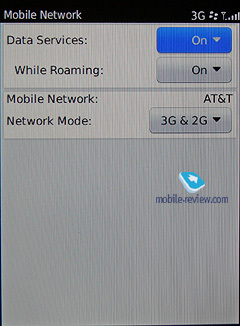 The phone comes with A-GPS bundled with AT&T's navigation service from TeleAtlas. Multimedia. 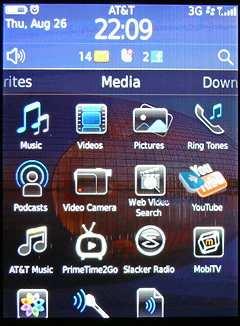 Video playback is supported, the phone allows to install the PrimeTime 2Go app. The app provides access to many of the OnDemand TV channels and shows for $9.99 a month subscription fee, but frankly why anyone would bother watching the old shows from a not very extensive library for this kind of money? Another app, MobiTV, gives you a 7 day trial period to watch streaming video from 23 various channels in addition to OnDemand choices. 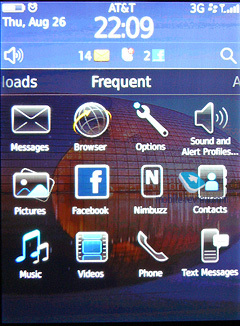 There is no FM radio in the phone as it was with pre OS6 BlackBerries. 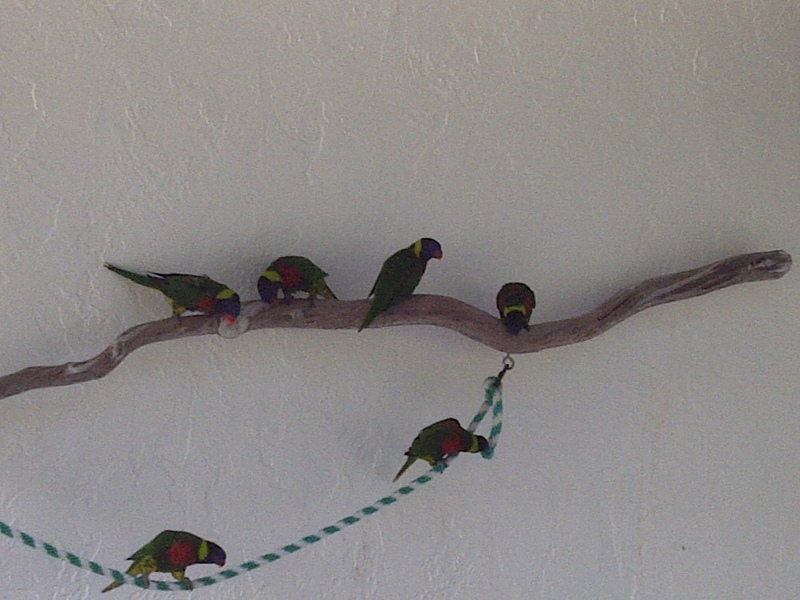 Data Tethering. 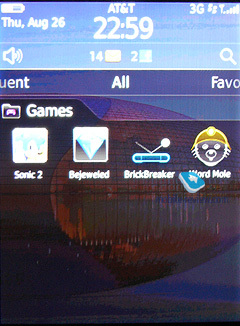 Supported, you can connect a computer and use the Torch as a modem. Games. 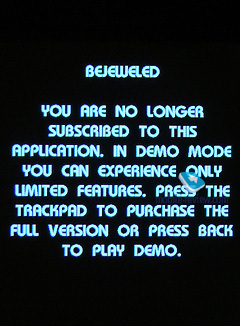 Two out of four games (Bejeweled, Sonic 2) are installed in Demo modes only and after a couple minutes will ask you to pay AT&T money. 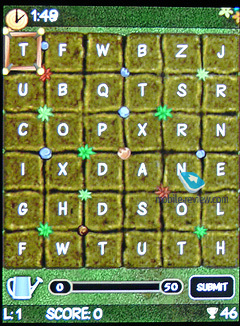 Two others (Word Mole, BrickBreaker) are free and OK to spend half an hour playing, killing time at the airport, but nothing special. Calculator. 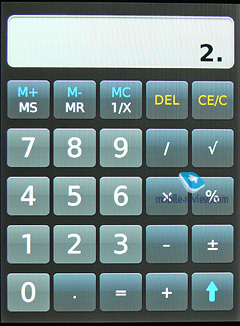 A standard basic calculator on the surface allows converting a limited number of main measurements from Imperial to Metric and vice versa. However when you start using it something strange happens: first of all, the screen does not show you the operation you are doing. Second of all, it only shows one digit at a time. Let me explain. For example you are adding 5 and 5. On a good calculator you'd see something like "5+5" on the screen before pressing "=" sign. On an OK calculator you'd at least see "5+" and then the result when the second "5" is pressed. Here, more like on a table calculator, you are seeing "5" first. Then, when you press "+" (or "-", "x" or "/" – it does not matter, they all show the same) you'll see "5." That is a number 5 with a period behind it. Then you press another "5" and get the answer. 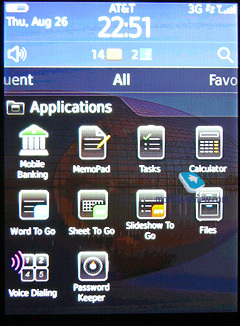 The problem is that the phone is not a table calculator, people use it on the go, when a regular calculator is not readily available. They are destructed, the buttons are not as easy to press and screen to see due to the size and the nature of the beast, so the possibility of a mistake is far greater than it is at work or at home. Nonetheless with Torch you are not able to see what exactly did you do and if you are computing large numbers and by mistake pressed "+" instead of "x", and did not notice the mistake – God help you. Especially if it was important. Tip Calculator. 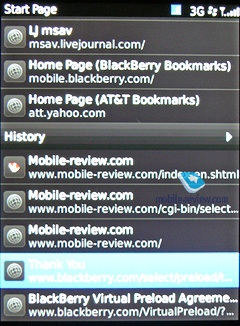 BlackBerry owners have a choice – install one of a third party apps (most are paid) or not to tip. Or use a pen and a napkin. 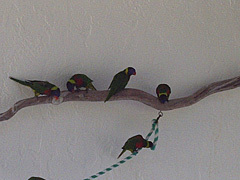 Social Networking. As any contemporary device, BlackBerry Torch allows you to share your opinion of the latest movie you watched with the world instantly. 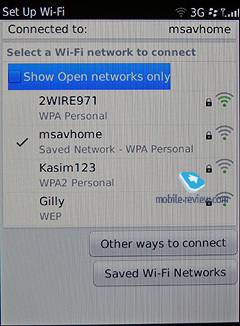 You have quick access to Facebook, MySpace, Twitter and YouTube services. 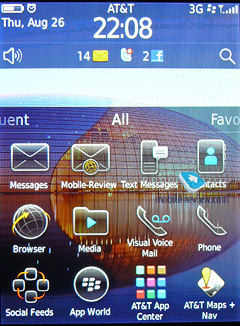 A great alternative to Android and iOS4, BlackBerry OS6 will suffer from the stigma associated with BlackBerry phones – corporate grade solutions for the guys wearing ties. 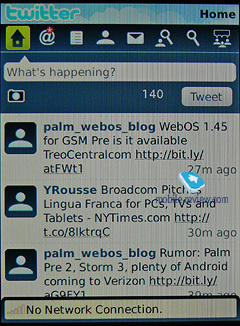 This makes the phone unattractive to an average user who these days can get the same real time email functionality from a free messenger phone, but at the same time will keep RIM the loyalty of its main audience. 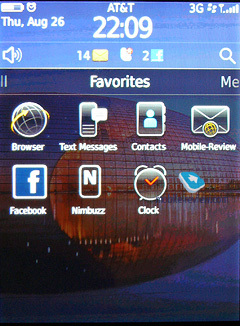 As OS6 appears on more BlackBerry devices, we can expect the RIM smartphone OS market share to grow a little in a short run, however in the medium run it will be shrinking. 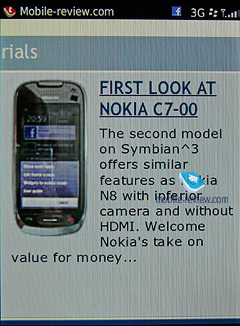 Not because the OS is bad or because BlackBerry are making outdated or bad solutions – just because the competitive advantage BlackBerry had over the competition is gone and the competitors are able to offer brighter, cooler looking, more hip (it is a perception, but perception is everything) phones in many more sizes, form factors and price ranges than RIM, inevitably taking up the majority of consumers switching from regular phones to smartphones. As for the Torch itself, the phone proved to be a bit of a disappointment. 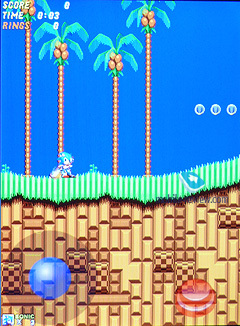 If initially it was a fast, smooth device, with time it began to lag to the point of frustration. I do not know if the reason is the software (then it will no doubt be fixed) or the hardware, I do know that in the past RIM was always using very good hardware and judging from the way the phone feels and from iSupply analysis of the parts there are little grounds to doubt no corners were cut. At the same time, the competition is fierce, the demands from carriers vary and only the RIM higher ups know the full truth. 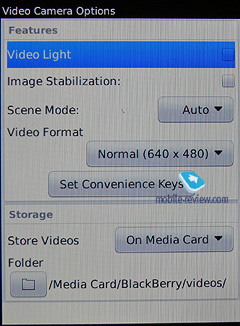 I would be very curious to test more of the BB OS6 devices running on different platforms to compare the experience with Torch. A couple of major advantages Torch has over Android and iPhone are the battery life and the display behavior under the direct sun. If this is what you need from the phone – look no further. 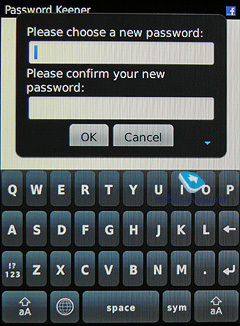 Even taking into the account the drawbacks the phone has, you will not be disappointed. If you are looking for the coolest device on the market you can flash around – look the other way. 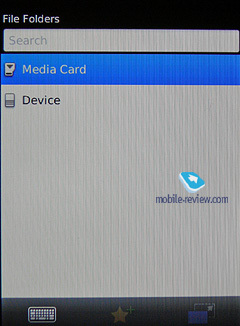 Author would like to thank RIM for the review unit and Lexar for provided microSD memory.